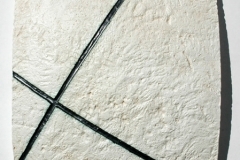 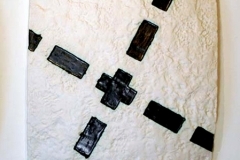 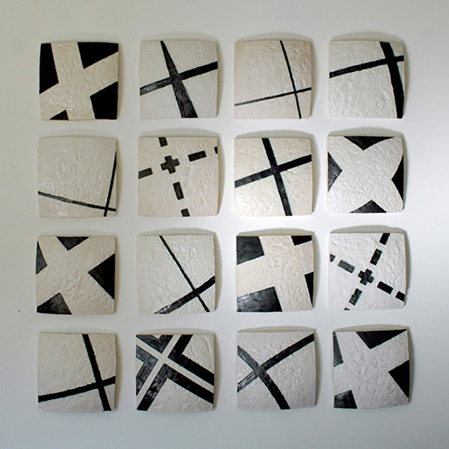 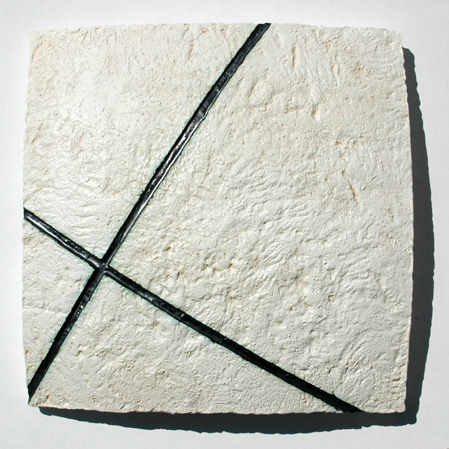 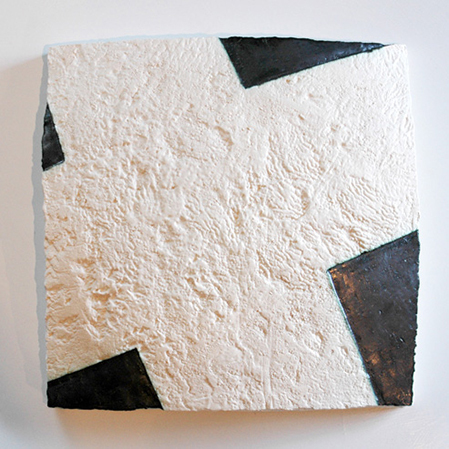 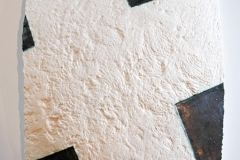 Series X is an ongoing series of wall-mounted, convex tablets depicting intersecting lines and center points. 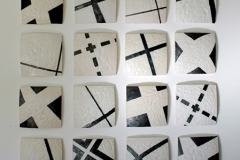 Tablets can be configured in grid variations or linearly. 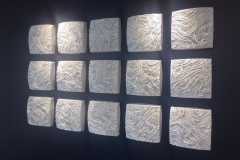 Each tablet is 14″ x 14″ x 4″ with a recommended 3.5-inch spacing when mounted collectively. 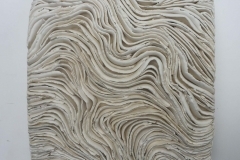 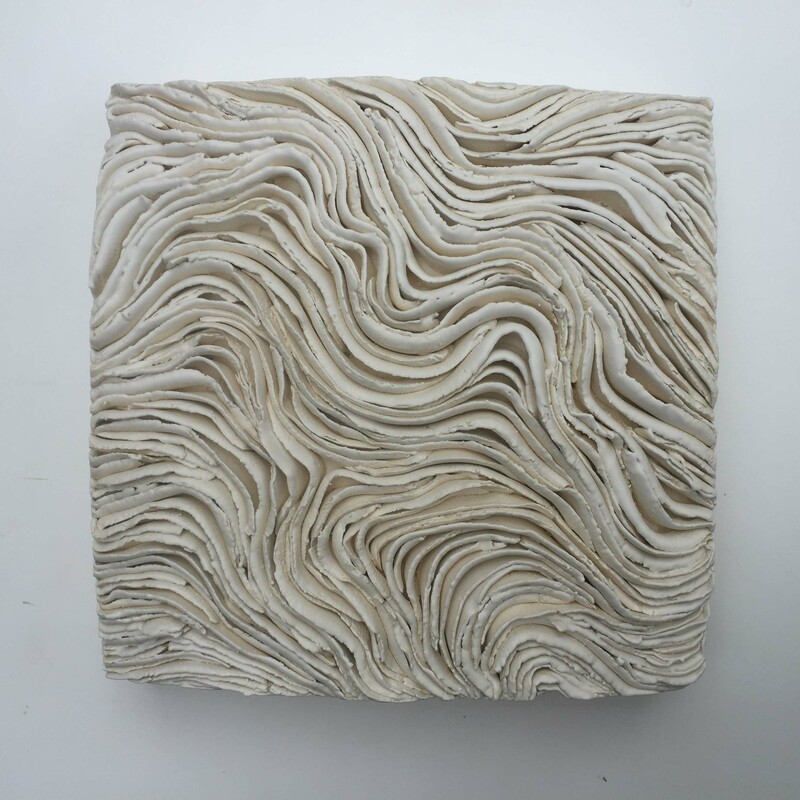 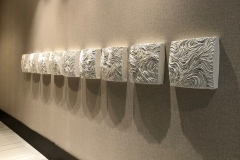 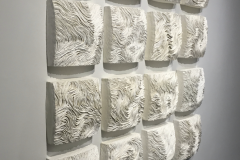 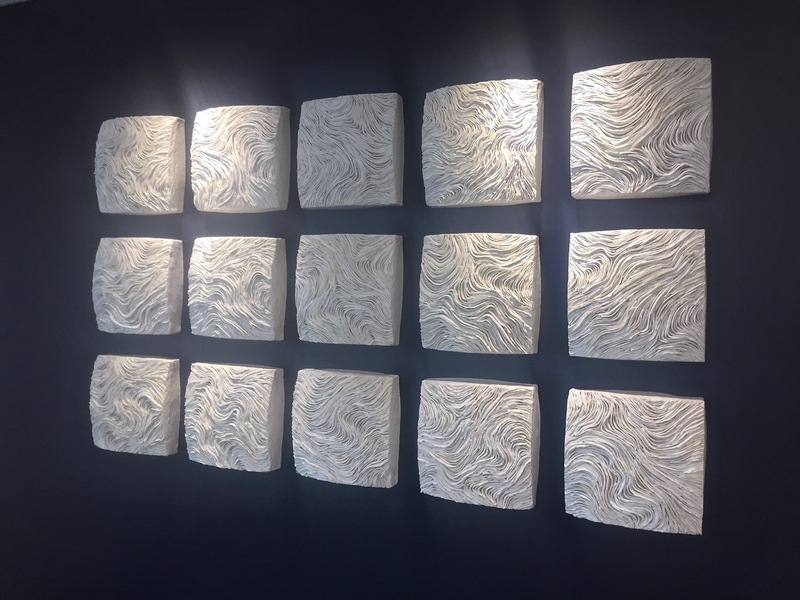 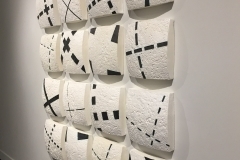 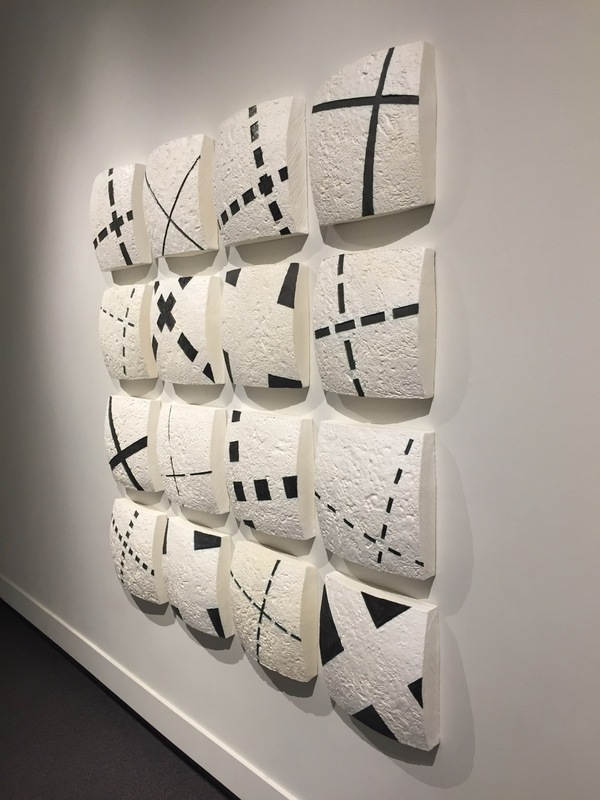 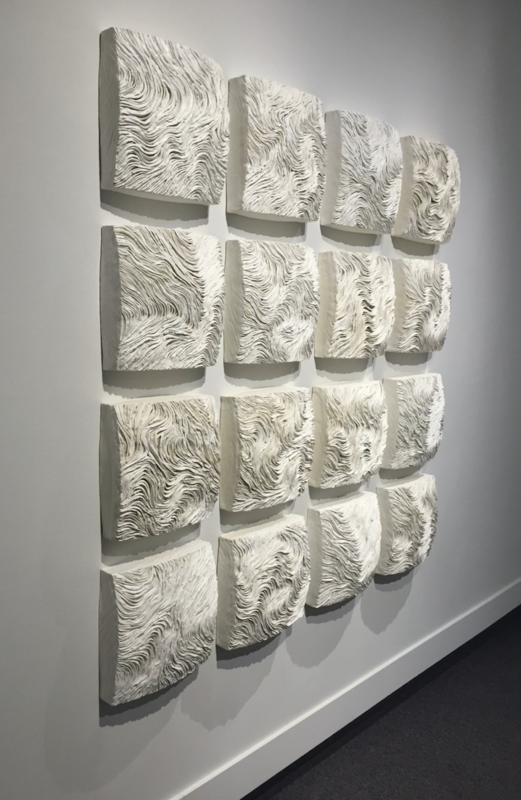 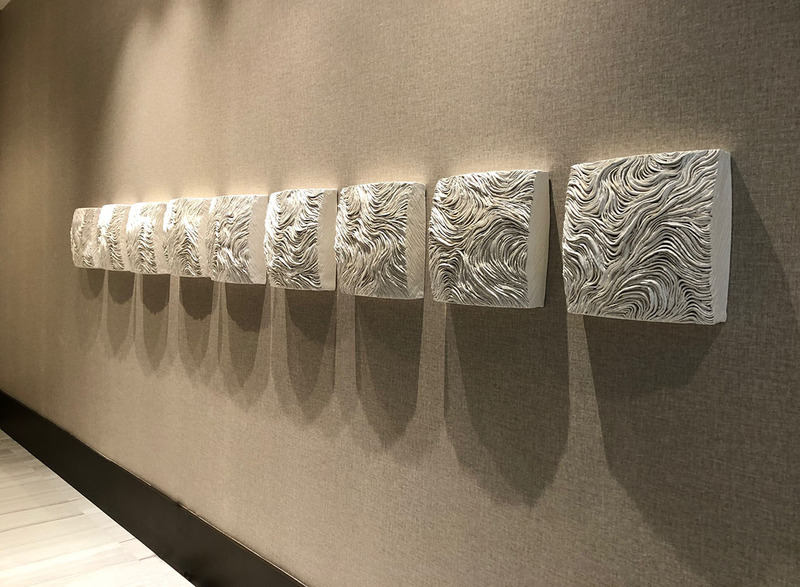 TopoTablets is an ongoing series of wall-mounted, convex tablets comprised of convoluted layers of clay, similar in structure to contour lines found on topographic maps. 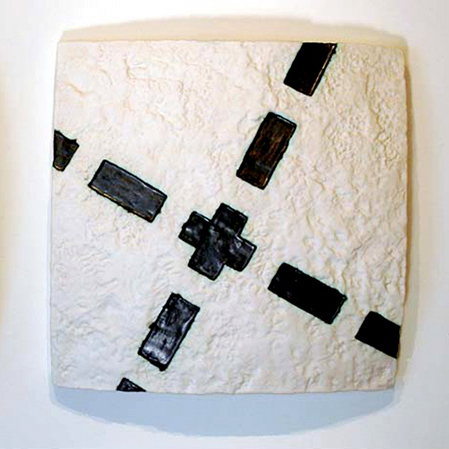 Each tablet is 14″ x 14″ x 4″ with a recommended 3.5-inch spacing when mounted collectively.